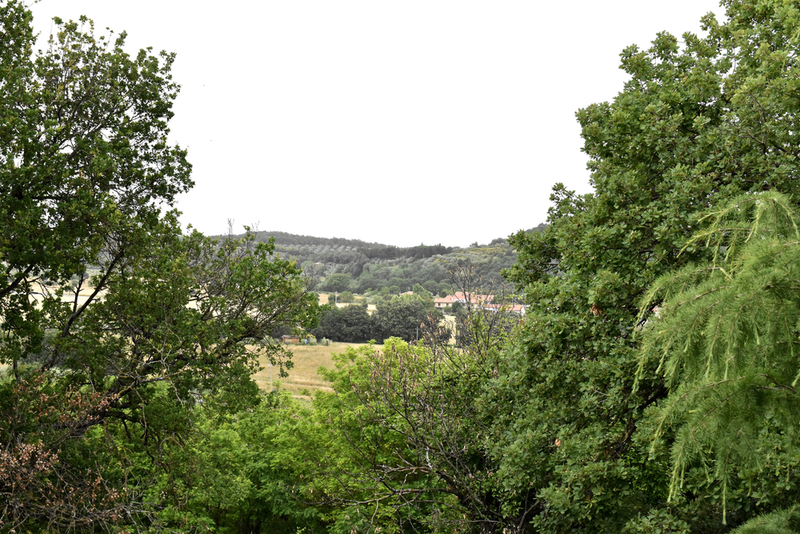 Hotel Villa Ambra pleases guests with its green Tuscan surrounds and close proximity to the historical town of Montepulciano and the famous thermal spas Terme di Montepulciano, Terme di Chianciano, San Filippo and Bagno Vignoni. The hotel offers a number of facilities including a courtyard and swimming pool so you can have all the R&R you need whilst enjoying the Tuscan countryside. 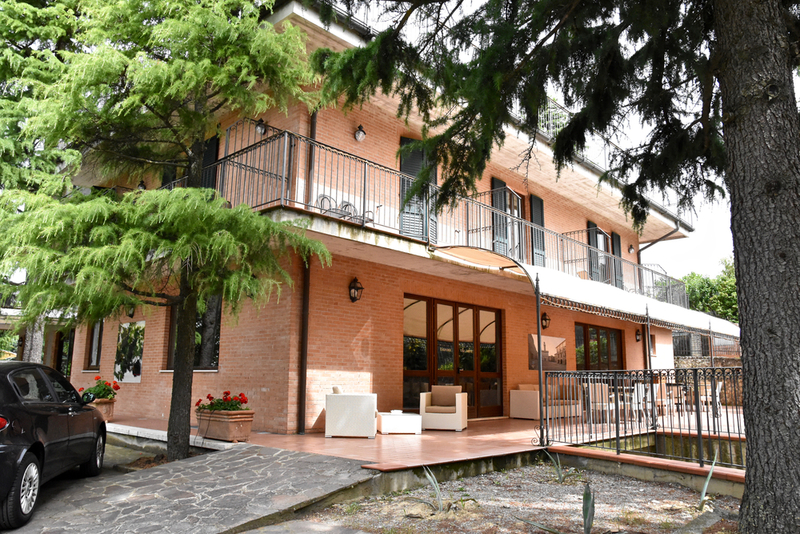 Run by passionate hotelier and winemaker Andrea Rossi, Villa Ambra is an excellent accomodation option for those touring the region. We loved staying in Villa Ambra's Superior Room. The room is perfect for couples on a romantic getaway but is amply sized so a family of three adults could stay in comfort. The room was clean and modern, featuring wooden floors and a large, comfortable bed and a beautiful artistic motif on the walls. The ensuite bathroom was clean and modern with a large shower - much appreciated after a long day of touring the Tuscan countryside. Our room also boasted a wonderfully large balcony as well as a refrigerator and free WIFI. Delicious daily breakfast is also included, featuring an array of freshly baked cakes and pastries on top of the usual bacon and egg options and, most importantly, unlimited freshly brewed coffee. During your stay we recommend you indulge in some delightful Tuscan cuisine at Villa Ambra's restaurant. Locally sourced organic produce is used to create heart-warming rustic cuisine. In order to offer diners a memorable experience, the hotel sources its seasonal produce from two farms in Montepulciano and Chiusi which border Villa Ambra. The menu changes daily and offers five different courses each night to ensure that guests always have something new to look forward to. We loved our delicious meal at the restaurant. The passion in the kitchen shone through with the carefully prepared dishes made in accordance to typical Tuscan tradition, all washed down with wine from the Podere della Bruciata vineyard. During your stay at Villa Ambra, the hotel offers guests the opportunity to attend a guided tour of the Podere della Bruciata vineyard. 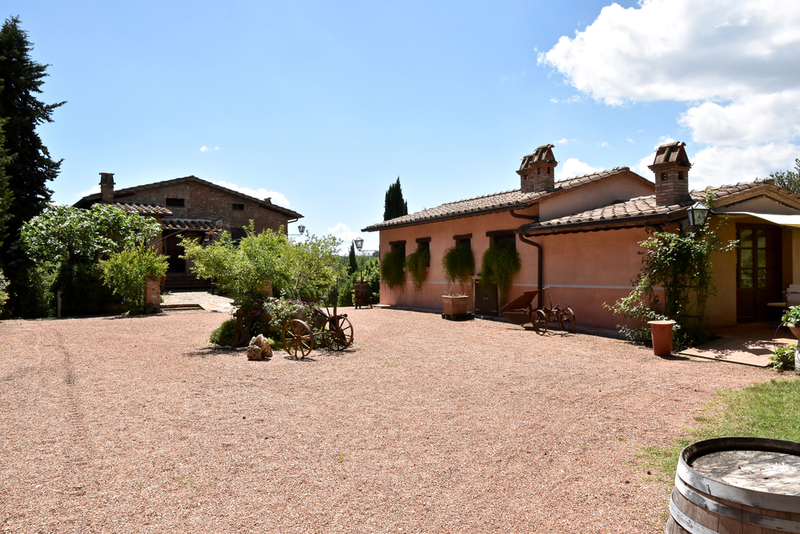 Podere della Bruciata is an organic winery dedicated to producing excellent, natural wines. 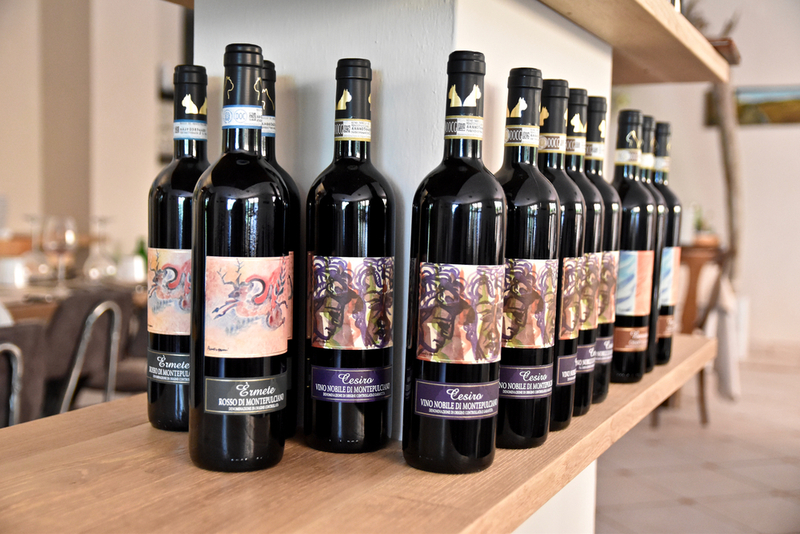 Several generations of Tuscans are behind the winery resulting in a winery that is respectful to its Tuscan heritage and tradition but progressive and open to adopting best practice. The winery holds an Organic Certification and the wine is vinified naturally with indigenous yeasts with minimal use of sulphites. Our favourite wine from Podere della Bruciata was their Cesiro - Nobile de Montepulciano and is made from Sangiovese and Petit Verdot. An exclusive wine produced in small quantities, the wine is kept in wood barrels for 18 months, thereby delivering a wonderful vanilla finish. The entire process to produce the Nobile is three years and involves a lot of effort and dedication. The results speak for itself, Cesiro is a sophisticated wine. If you're looking to laze away with a big group, we recommend reserving the sister property to Villa Ambra, Podere Della Bruciata Villa. The property can host up to 16 people in double bedrooms (each with private bathrooms and toilets). Upon request, dinners for a minimum of six people can be arranged. The property is wonderfully spacious and also boasts a large terrace that faces the park and the swimming pool.